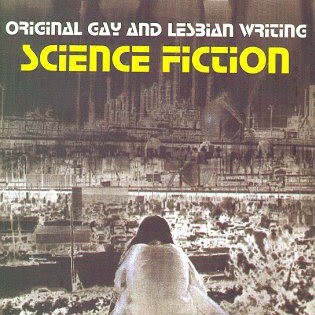 Original short fiction with queer protagonists, edited by Nicola Griffith and Stephen Pagel, published by Overlook. After a fight with your girlfriend, followed by way too much booze at a stranger’s house party, you wake up naked in the bed of an unknown man, equally naked. Hard to believe for a straight-as-a-stick guy like you. Your whole arm is pinned beneath him, and you don’t dare risk waking and confronting him, the situation, or yourself. So what can a supermacho, army-airborne-ranger-special-forces real man like you do, other than chew off your trapped arm and zip up your pants one-handed on your way to the hospital? 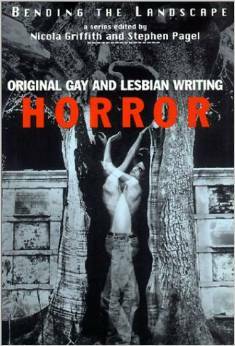 Such is the poser posed by the first story in the third in an award-winning series of gay and lesbian horror story anthologies. This second volume of Nicola Griffith and Stephen Pagel’s Bending the Landscape anthology series focuses on science fiction stories (the first book covered fantasy, and the third will cover horror). 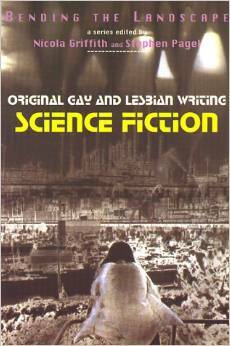 The editors asked contributors to “imagine a different landscape… some milieu that had not happened” and then address the theme of Alien or Other, with the Other being a lesbian or gay man… Big name authors like Charles Sheffield, Nancy Kress, Stephen Baxter, and Elizabeth Vonarburg contribute stories as well. The science fiction volume, like all the Bending the Landscape anthologies, addresses universal themes of otherness, love, and loss. Great reading for the 21st century. They are extraordinary characters living outside the bounds of reality. But you will recognize them… It’s about being gay, being straight, falling in love, sorrowful partings, death, and fantastic circumstances. Bending the Landscape stretches the standard fantasy genre. In the groundbreaking anthology, queer writers write fantasy for the first time, and genre writers explore queer characters. But don’t expect the usual fantasy backdrops—these stories will give you a frisson, a thrill, as they fizz off the page. Bending the Landscape goes in and out of print. So I can’t guarantee these links, sorry.